Rent is due on the 1st of each month. You have until the 4th at midnight to pay as a legal grace period or your rent is late. We send late notices on the 8th of every month or the next business day. It is possible you paid your rent after the notice was put in the mail, if this is the case you can disregard the notice. 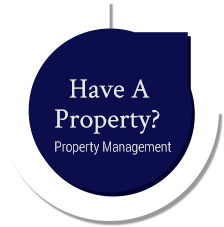 As the property manager our job is to enforce the lease. To comply with our management agreement with the owner and fair housing laws we must treat all residents the same. As a result we are unable to waive the late fee. You can pay rent online using your tenant portal. You may also pay with a personal check, money order or cashier’s check. To ensure the safety of our staff and to reduce money being lost we do NOT accept cash. Rent increases are based on market conditions. We evaluate the rent toward the end of your lease, or if you are on a month-to-month agreement periodically to determine if rents are where they should be. All maintenance request must be submitted in writing. Please use your tenant portal to submit your request. This will allow us to keep you informed (email updates) as we address your request. Please note: Once you make a request we have 7 days to enter the property during reasonable times without additional notice. Please review our list defined emergencies below. I your emergency is on the list please call 503.709.2020. If you are experience another safety issue such as a fire or threat to your safety please call 911. If we dispatch a repair or maintenance technician to the property and we find that the repair was related to misuse or negligence you will be billed for the service call. Example 1: A garbage disposal is clog because items were put down the disposal that were not supposed to you will be billed for this clog. Example 2: If the sink or drain is clogged because grease or another unapproved substances was put down the drain then you would be billed for this clog. Example 3: An outlet is not working and it is fixed by resetting a circuit breaker, fuse or GFCI then you would be billed for this call. Yes. By submitting a request we are allowed under Oregon law to enter the property within the next 7 days during reasonable hours to resolve the issue. We will try to accommodate your schedule, but because we work with many vendors who have their own schedule we cannot always honor your request. The owners insurance does not protect your personal property in the event of a loss. Insurance will in many cases cover the cost of an accident at the property if you were liable. If you are locked out during normal office hours you may come check out a key from our office. If you are locked out after hours you will need to call a locksmith. Your lease will outline if you are responsible for taking care of the yard or not. In either case you are responsible for watering the yard as needed. If plants, bushes, shrubs or trees die due to inadequate watering you will be responsible for replacing them. If your lease indicates that you are responsible for the yard you will be responsible for mowing and edging the grass as well as keeping all beds free of debris and weeds. You are also responsible for fall leaf clean. If you do not clean up the leaf’s in a timely manner and the lawn or yard is damaged you will be responsible for restoring the yard to its original condition. The owner is responsible in all circumstances to trim bushes, shrubs and trees. You may have a guest stay at the property for no more than 10 consecutive days in a room or 20 non-consecutive days in a year. If you anticipate someone staying longer than that please contact us. 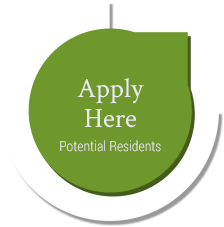 If you would like to change the make-up of your household we will need to determine if the remaining residents can meet all of the current screening criteria i.e. household income. If the change will result in the household no longer meeting our criteria then we will not be able to release any one from the lease. In order to do this you will need to find a substitute roommate to meet our criteria. If you meet the criteria without having to add someone to the household we will remove the vacating party from the lease as long as all parties agree to this. The security deposit follows the lease. No part of the deposit will be returned until the last member of the household vacates. You will need to determine how to handle the deposit amongst your household. Please note: Please keep in mind that if you are the remaining party that you may inherit liability from the original household. It is a good idea to carefully go through the property and charge them for anything that you would be billed for later. All pets must be approved by management. Some properties do not allow pets. You will need to contact management to determine if you can have a pet. Any change must be approved by management. If you are interested in painting a wall or room please provide us the following. A description of what you want to want. For example, the west wall of the master bedroom. Locks may not be changed without permission from management. If you are in an emergency situation and must change the locks you must provide management a copy of the new key the next business day. No. Subletting is prohibited under your lease. If you think you will need to break your lease please contact management as soon as possible. Our goal is to minimize your financial obligation by leasing the property to another party. If you break your lease you will be responsible for, but not limited to any lost rent, utilities costs until it is re-rented, any concessions paid plus or fee for re-leasing the property (50% of one month’s rent, minimum of $500). We will post ads 30 days before you vacate. The more flexible you can be with showings the faster we will be able to re-lease the property. No. Subletting and running a commercial business out of the property is prohibited under your lease. When your lease ends it will automatically roll over to a month-to-month agreement. 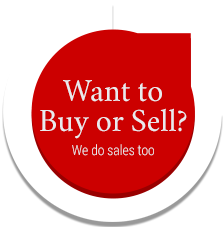 However, we do not allow month-to-month agreements without the owner’s permission. We will contact you about 60 days before your lease expires discuss if your lease will be renewed or not. You must provide us with at least 30 days’ notice prior to vacating. Yes, because your lease has an automatic rollover clause you will need to provide 30 days’ notice to cancel the lease. Please contact our office as soon as possible. In some cases we can accommodate your request, however we cannot guarantee that we can provide you additional days to vacate. We have 31 days to deliver your final accounting and deposit. We do our very best to return 100% of your deposit to you. If you read and followed our move-out instructions there is a good chance we will be able to do this. The more we have to do the longer it will take to return your deposit and the less you will receive back. We will provide copies of any receipts we have. If you no longer have your pet you will not have to pay pet rent. If you no longer have your pet we will refund the increased portion of your deposit.